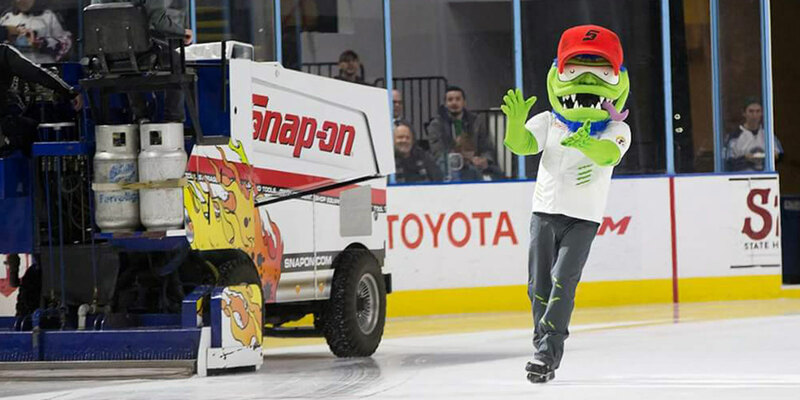 Last Friday, Milwaukee Admirals fans met the wildest green monster this side of Tokyo – Snap-on Tools’ very own Van Torquey. 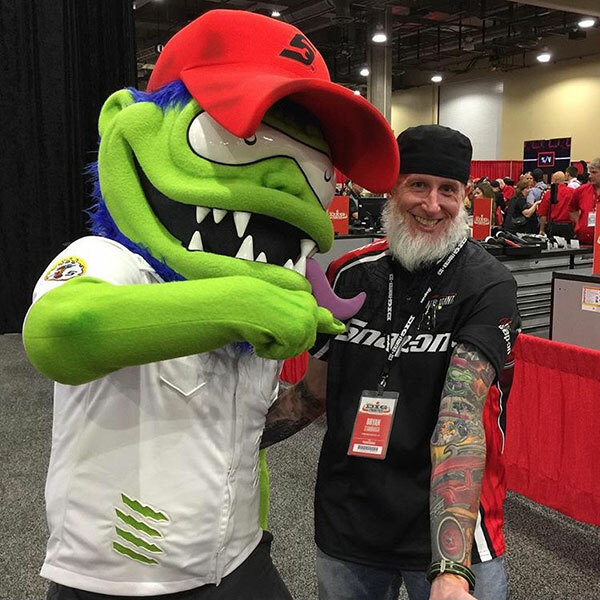 Created by Traction Factory as part of their ongoing campaign the Snap-on 18V MonsterLithium cordless product line, Van Torquey was brought to life to interact with attendees at the annual Snap-on Franchisee Conference in Dallas. From high-fives and photo ops to antics across the show floor, Van Torquey was a huge hit. 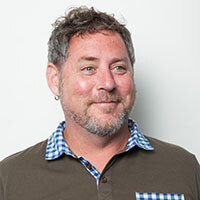 For a character as fiendishly fun and engaging as Van Torquey, it seemed shameful to limit him to a one-time appearance at a conference. Fortunately, we saw a perfect opportunity to breathe more life into him. Leveraging our partnership with the Milwaukee Admirals and Snap-on’s longtime sponsorship of the team, we arranged to have Van Torquey become a special fixture at several Admirals home games. With his likeness already on the Snap-on Zamboni promoting the 18V MonsterLithium products, we took advantage of his familiarity with Admirals fans to prepare him for a strong on-ice debut. Introduced as “a former MVP of the MHL – the Monster Hockey League,” Van Torquey drew cheers from the thousands in attendance and livened up the rink. Most importantly, Snap-on was able to expand the reach of the character and further own the moments between periods at Admirals’ hockey games, resulting in a power play of a brand activation.